As the spring arrives, as well as a greater chance to be involved in a new set of sports, comes an increase in the risk of eye injuries related to sports. Each year, many people, both young and old incur sports related eye injuries that could easily be averted with proper protection. Protecting your eyes while playing sports is important especially in high-impact sports or those that bring you out into the sun such as basketball, softball, cricket, badminton, boxing, water polo, or golf. Lower your chances of a sports related eye injury by investing in the appropriate protective eyewear right for the activity you might be participating in. Protective eyewear will keep you injury-free and will also have lenses that block ultra-violet light for outdoor activities. Eye wear made specifically for sports is made especially to protect your eyes from frequently occurring conditions. Regular frames and lenses usually don't meet the minimum requirements for preventing impact, which means that a minor collision can mean an actual sight-threatening injury. Sports vision is more than just using the right eyewear. Eyesight is an essential factor of how well you compete, so it's vital to have strong eyesight. For those who normally require glasses, you can get protective sports glasses or goggles that have a prescription, so you can see properly while you play safe. For contact lens wearers, you may require a different lens than the ones you normally wear. 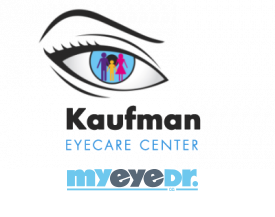 Call your eye care professional about the options that are right for you. All sports have differing dangers and demands, so let your eye care professional identify your specific needs and provide the right glasses or lenses that best fit your visual skills. This is key in helping you give you the boost you need to succeed and enjoy sports safety. Different sports include differing demands and dangers, so it's important to let your optometrist identify your specific needs and provide the correct glasses or lenses that best fit your eyesight needs. This will only help you give you the boost that'll help you succeed and have fun safely. Playing sports and physical activity is an important part of a healthy lifestyle. But remember never to overlook the safety of your eyes and vision. Taking these extra precautions will only let you enjoy more years of enjoying sports and healthy vision.